Digital Dream Productions are a contemporary and dynamic company with a fresh and inspired approach to Wedding Videography & Event Films, capturing beautiful memories from Leicester to London and beyond. Our creativity and imagination infuse our films full of emotional impact and magical moments. We offer wedding video packages that are designed to cover every element of your magical day. This includes Bridal Prep, Groom Prep, Bridal Party & Guest Arrival, Ceremony, Photo Call & Drinks Reception, Wedding Breakfast & Speeches, Cake Cut, First Dance and on through to Evening Entertainment. So you can be sure of getting a fantastic film whichever package you select. Please have a watch of our Cinematic Highlights (example above and more on our Portfolio Page) and when you have finished watching them take a look at our Wedding Videography Collections and Our Wedding Videography Services pages to see what we have to offer. When you have finished remember to 'Get In Touch' so we can chat with you about all the wonderful plans you have for your special day. Just wanted to email you to thank you for the unbelievable wedding video! We have already watched it twice, and are about to watch it again with the in laws! Cant explain how much we love it, well worth the wait! I love the way you've edited it-with the day running from start to finish, but having the speeches running alongside throughout the whole video. Just amazing. We feel like we're reliving the whole day again by watching it! We will recommend you to all our enagaged friends. This video is proof why you need footage of the day, not just photos, as it captures all the emotion and the whole atmosphere. Love love love it! Thanks to you and Dan for all your hard work! I have to say that Chris and I are absolutely delighted with our wedding video. You managed to capture not only the highlights of the day but all the little things that we spent so much time on leading up to the event. The combination of the footage, put together with the backing music and speeches etc make for a truly impressive and memorable film. It couldn't be further from the misconception that some people have and should perhaps be recognised as a piece of art in motion happily marrying alongside the still art taken by a photographer to form an all encompassing and story. If you ever need a testimonial writing etc then please feel free to ask. Emma & Chris - Boughton House, Northamptonshire. We feel so lucky to have had Lee and Dan share and capture our special day, they were very professional and a big hit with all the family and friends. Sian & Gary - Moxull Hall, Solihull. Lucy & Toan - London. There is not enough space to write down how excellent you guys were on our wedding day! For anyone thinking of using DDP... stop thinking and book them!! Jessica & Chris - Kilworth House, Leicestershire. Just watched the film oh my god it’s incredible!! We have watched it 3 times now! I have shared it and all our friends will see it and do the same. Cannot wait to see the finished product! Abby & Kev - Shearsby Bath, Leicestershire. Jen & Jon - Lyde Arundel, Herefordshire. Are you are looking for elegant, creative, fine art wedding photography too? If you haven’t yet selected your wedding photographer then why not take a look at our sister company La Boda Photography. 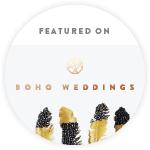 They can provide you with full or half day coverage, one or two photographers and bundle it all up in some of the most beautiful wedding albums on the market. Best of all if you choose to book us for both wedding photography and wedding videography you could save quite a bit on the combined price. If you have an event planned and you would like to discuss your wedding videography requirements then please do get in touch with us. We love talking about wedding films. We want to know about your wedding videography plans, your venue, your dress & shoes, your theme. When your passion meets ours, that makes for unforgettable film. Digital Dream Productions, Park Street, Fleckney, Leicester.